1. Always invite people to your party who are better cooks than you. 2. Attach yourself to someone else’s dinner party (obviously a very good cook) to learn and capture reflected glory. The key is cultivating a community of great cooks—an overall strategy that makes for a long and happy life. 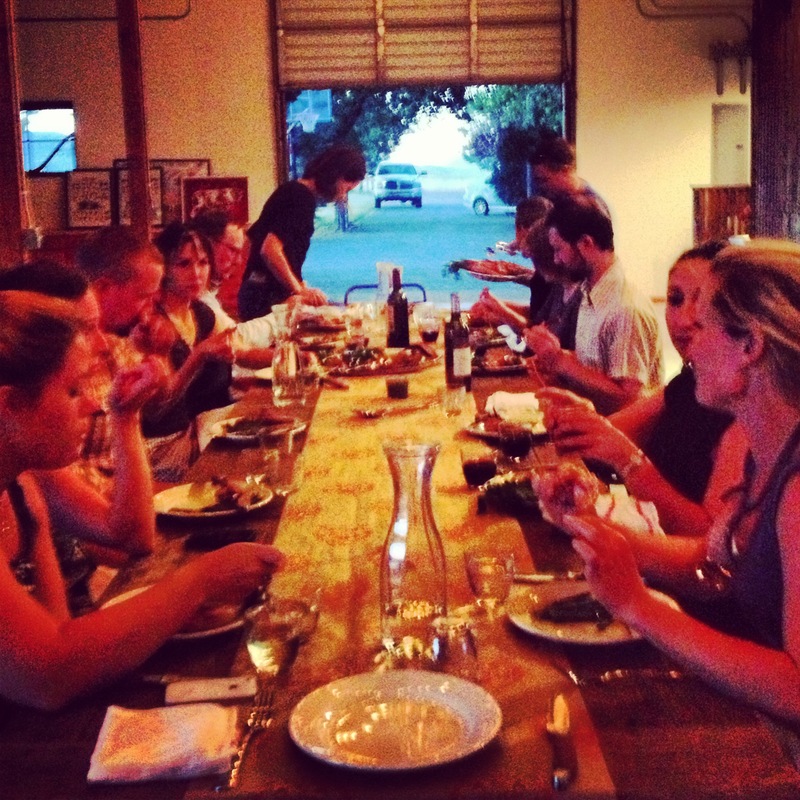 Last week I volunteered to help in the kitchen at Belcampo Farm in Shasta valley where my amazing friend Anya Fernald was hosting a dinner party for 20 people. 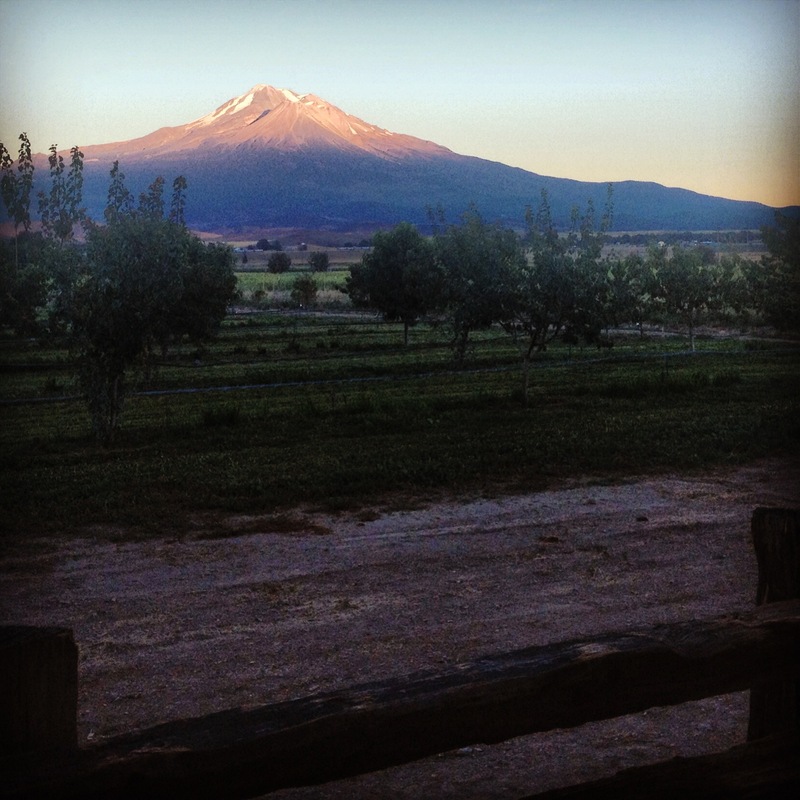 Prior to running Belcampo, Anya had worked for Slow Food Italy and her cooking reflects a strong Northern Italian influence. Cooking with us that day were two other amazing Belcampo cooks: Gavin Erezuma and Bronwen Hannah-Korpi. While Gavin grilled top round and butterflied chickens, I helped Anya prepare the appetizers—bagna cauda (a rich dip made with anchovies, garlic and olive oil) and focaccia di Reccio (a crispy stuffed flat-bread from Liguria). Well, the truth is that I actually only peeled the garlic (10 heads!) 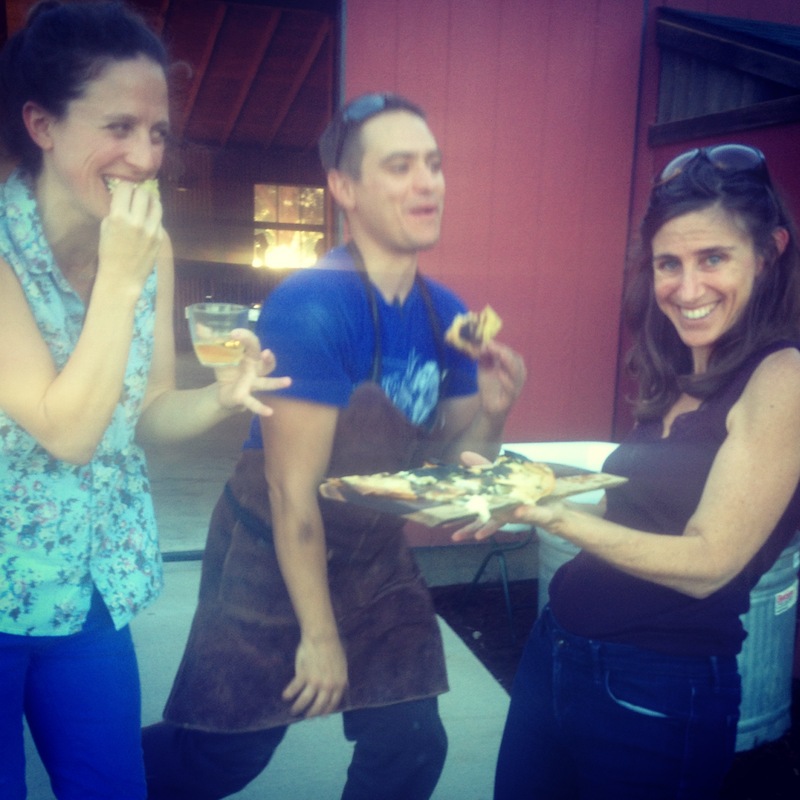 while Anya, Bronwen, and Gavin skillfully put the meal together. 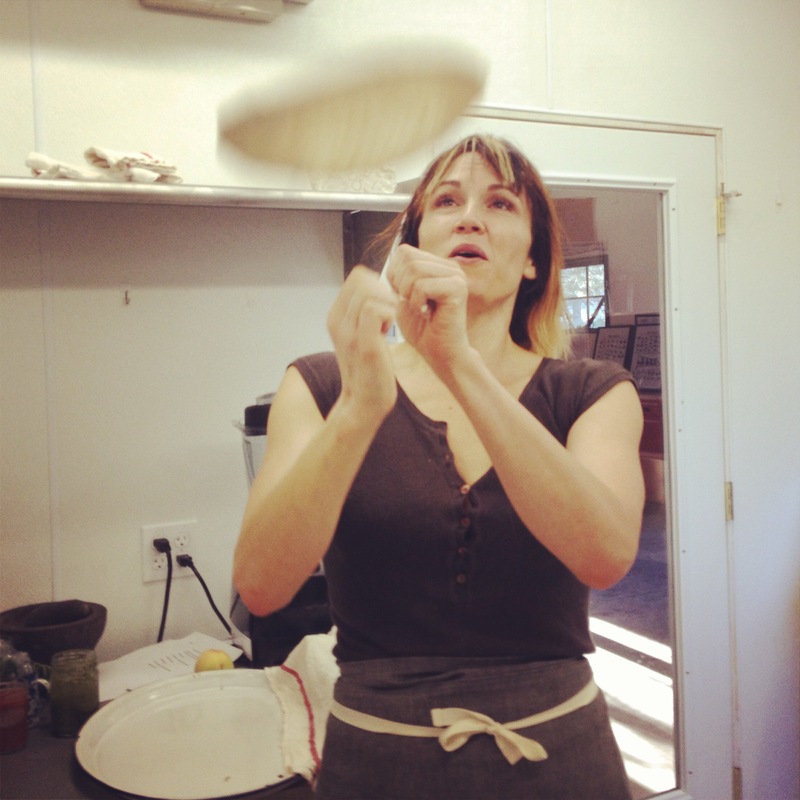 I watched and took notes on how to properly de-bone an anchovy and stretch dough to paper-thin consistency. My main helpfulness, however, was that I generously offered to serve the food (and thus, bask in the glow of it all). Melted cheese oozed out of the focaccias as Anya placed, cut, and stacked them on a rustic wood platter. What are you serving at your next party? Need some help? Now walk the party with tray in hand. Stuffed with tangy cheese, Focaccia di Recco is a thin-crusted flat bread from Liguria near Genoa. It tastes nothing like the thick chewy bread we think of as focaccia (it is not made with yeast) and is instead crispy and rich with the flavors of olive oil, salt and melted cheese. Gavin prepped the dough about an hour and a half before the party and we (well, really Anya) assembled and baked the focaccias ahead of time, timing the last 2 or 3 to arrive hot out of the oven during the first hour of the party. 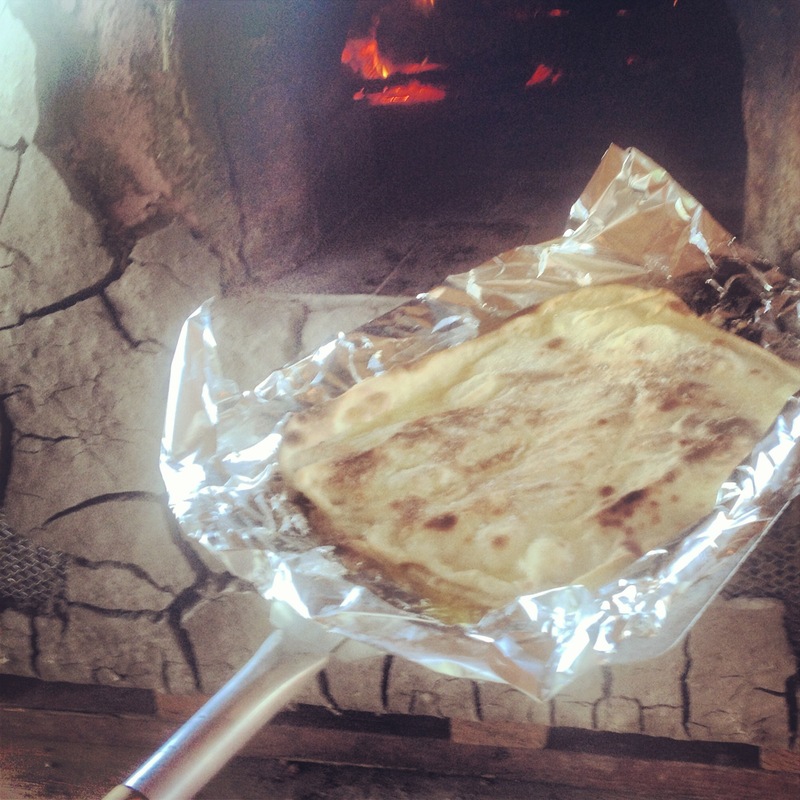 Focaccia di Recco is usually made in round pans but we made our on a square baking sheet. Also, we had access to a wood burning stove but the instructions here provide for a conventional oven. Also a high quality olive oil is a must. For the cheese, you can also use Fontina. *Also, please note that we (well, Anya and Gavin really) used metric measurements. The conversions listed below are estimates. Place the flour in a large bowl or a mixer with a dough hook. Add a pinch of salt the cold water and extra virgin olive oil. Start mixing the dough (with a fork if by hand, incorporating the flour, little by little). 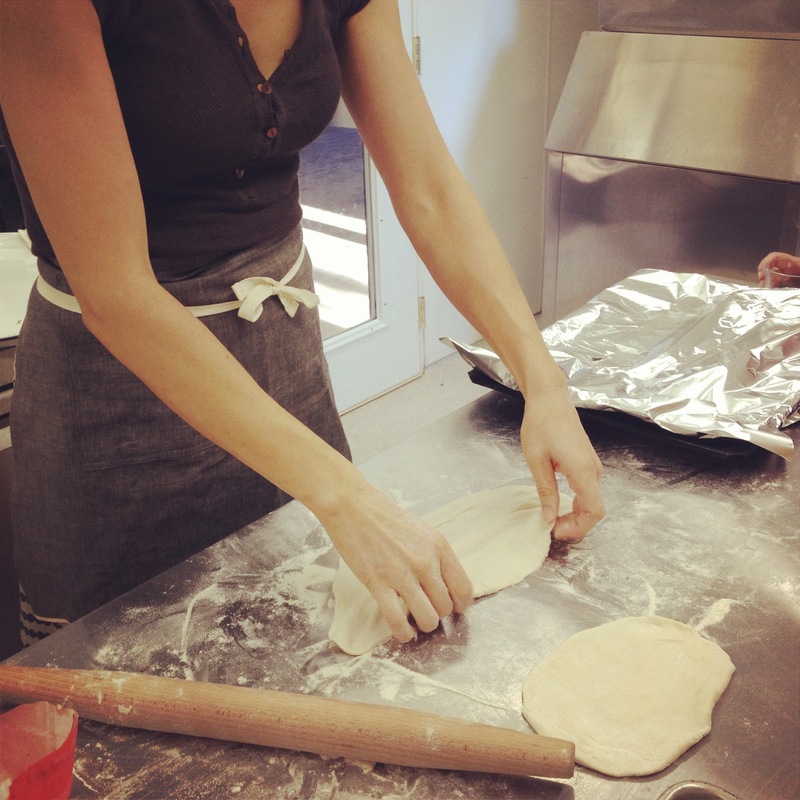 Once the dough has come together, start kneading it with your hands. Knead the dough for 5 to 10 minutes, until smooth and uniform. It should be pliant and soft. When the dough is ready, cover it with plastic wrap and let it rest for 1 hour at room temperature. Place a pizza stone on the middle rack of the oven and preheat to 475 degrees F.
For the smaller batch (4 focaccias) divide the dough into 8 balls; for the the bigger batch (8 focaccias) divide the the dough into 16 equal parts. Using a rolling pin, roll out the dough and then shape with your hands trying to keep it round and gently stretching until the sheet is as thin as possible, almost transparent. Once you have rolled out the pieces of dough, begin assembling the focaccia di Recco. Grease a 10-in baking dish with extra virgin olive oil or line a baking sheet with tin foil (also greased with oil). Making one focaccia at a time, place one layer of dough on the bottom of the dish or baking sheet. Add the cheese in pieces using your hands or a spoon. Cover the cheese with the second sheet of dough. Party Strategy note here: We recommend assembling and baking off half of the focaccia before the party and finishing the rest just before/during the party. Pinch the edges together to make a seal. 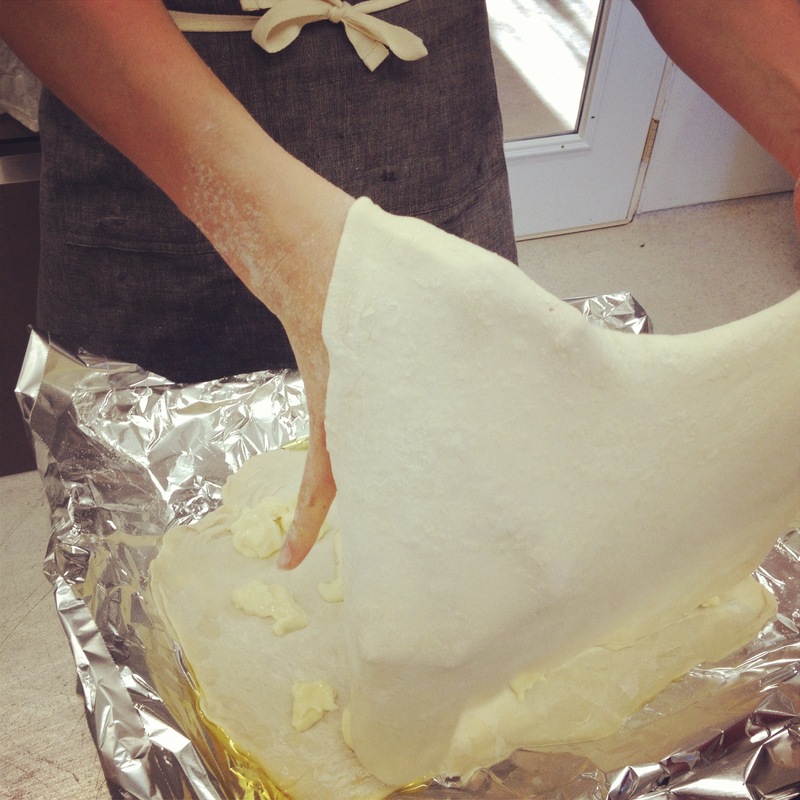 Poke or pinch holes into the top layer of dough so that the steam can come out during cooking. 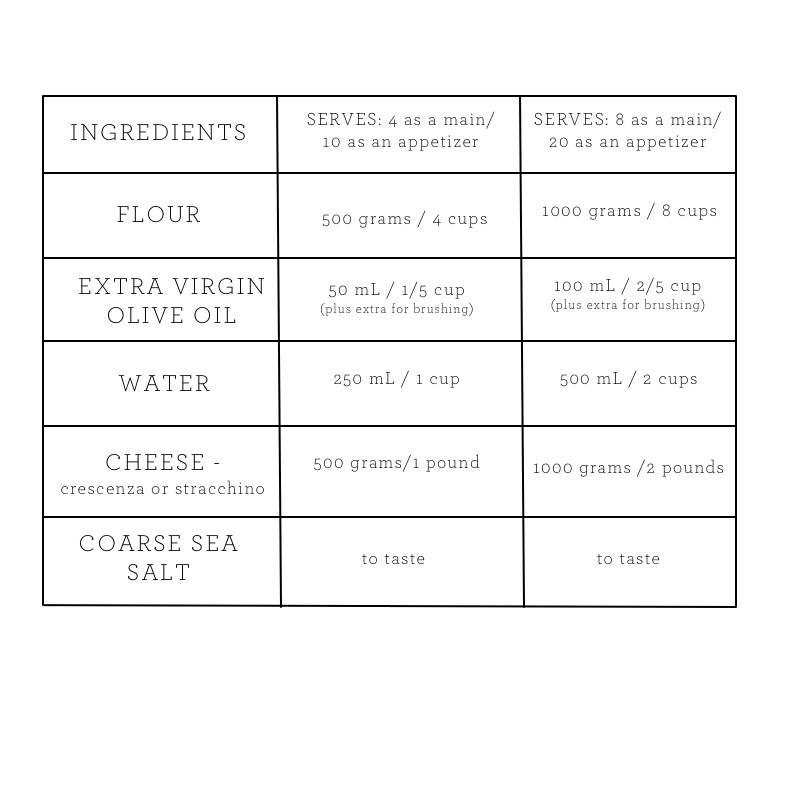 Brush with extra virgin olive oil and sprinkle generously with coarse sea salt. Place in hot oven and bake on a pizza stone until dark golden brown, about 10 to 12 minutes or more depending on your oven. Remove it from the oven and let cool slightly. Cut it into squares and serve warm. 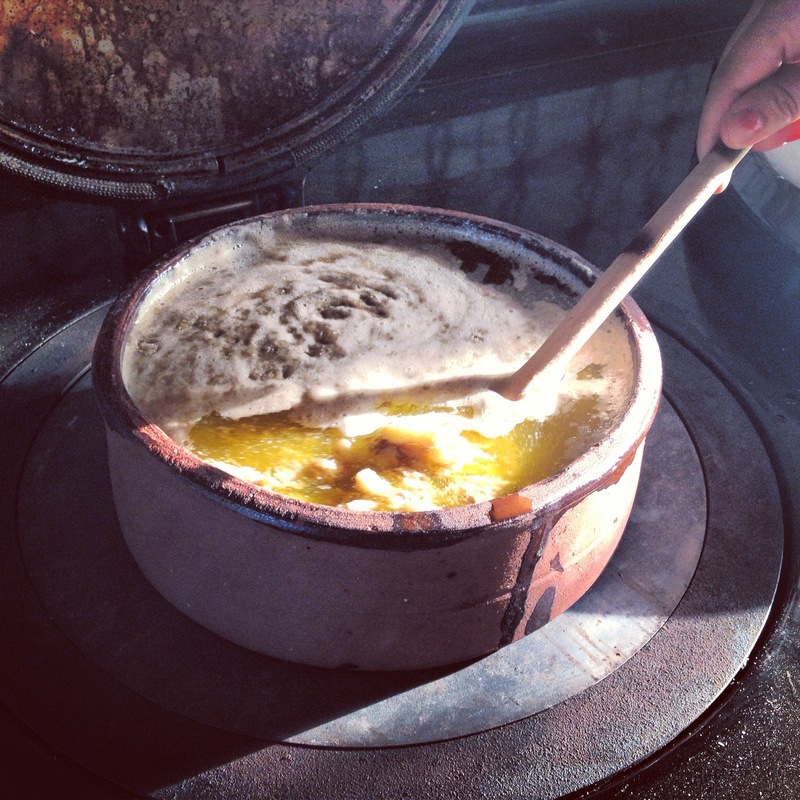 Bagna Cauda literally translates to “hot bath” or “hot dip.” Made with olive oil, garlic and anchovies, it is so good you might want to bathe in it! When eaten as a meal, it is served in individual portions in special bowls equipped with heating candles. 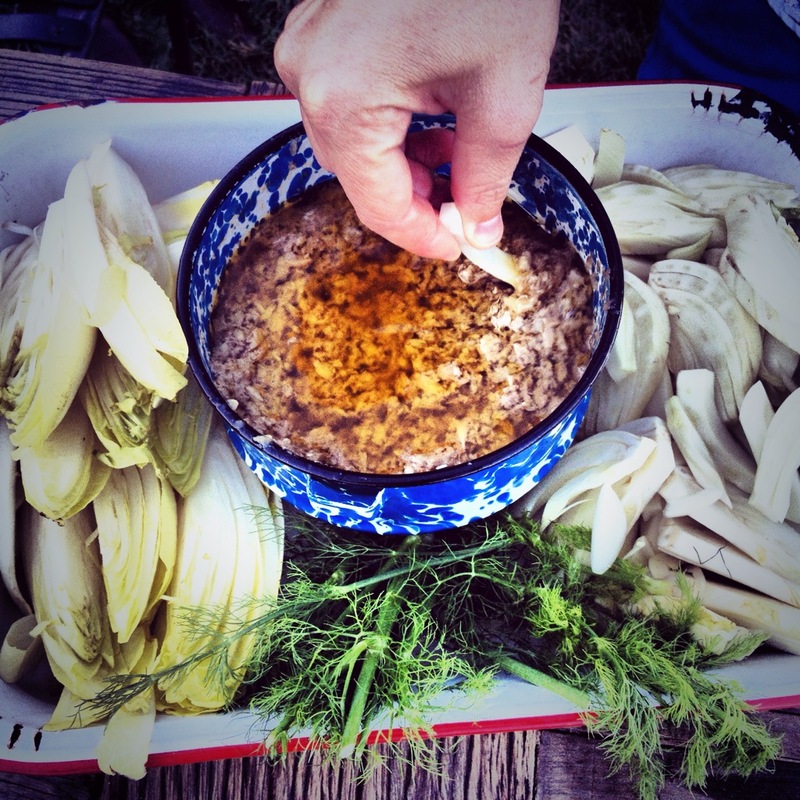 When making it for this crowd however, we (well, Anya really) served it as a dip with plenty of fresh fennel, carrots, and other fall roots. Unlike a green salad, these sturdy vegetables won’t wilt. Anya recommends using salt packed anchovies and a very high quality olive oil. If you don’t want to use butter, you can substitute an additional 2 cups of olive oil instead. In a bowl, soak the salted anchovies in water for 30 minutes. Remove the anchovies from the water, mince and grind with a mortar and pestle or in a food processor. Meanwhile place the garlic in a saucepan and cover with the milk and simmer over medium low heat until the garlic is soft, about 10 minutes. Strain the garlic and rinse in cold water. Set aside. Place the garlic, anchovies, olive oil, and butter in a medium saucepan and cook over very low heat for 1 hour. Do not boil. Remove from heat and run the mixture through a food mill on the widest mesh or press it through a sieve with a spatula. Pour into a serving bowl and place among a bounty of fresh vegetables.